A tomme made from raw sheep’s milk. A tomme made from raw sheep’s milk and cultured with wild cultures. 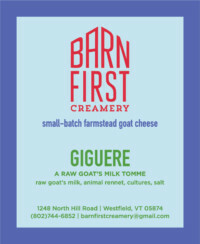 Raw goat’s milk, animal rennet, cultures, salt.